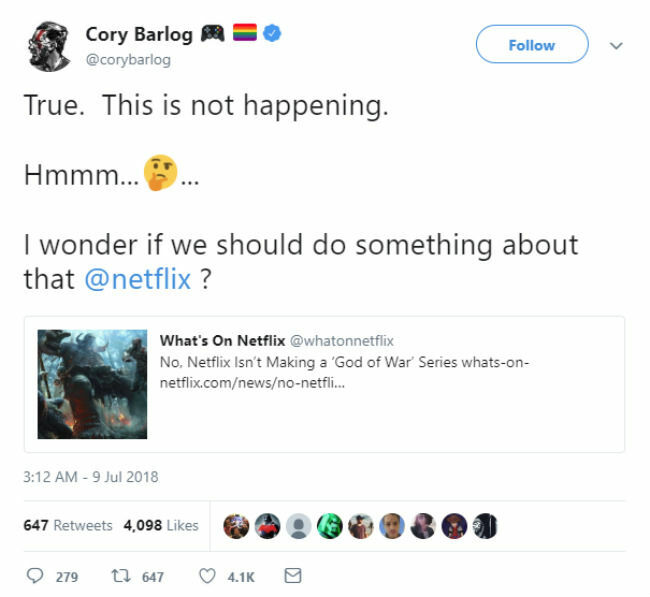 A few months back, a poster started making rounds on the internet suggesting that Netflix was making a TV series based on the extremely popular video game, God of War. 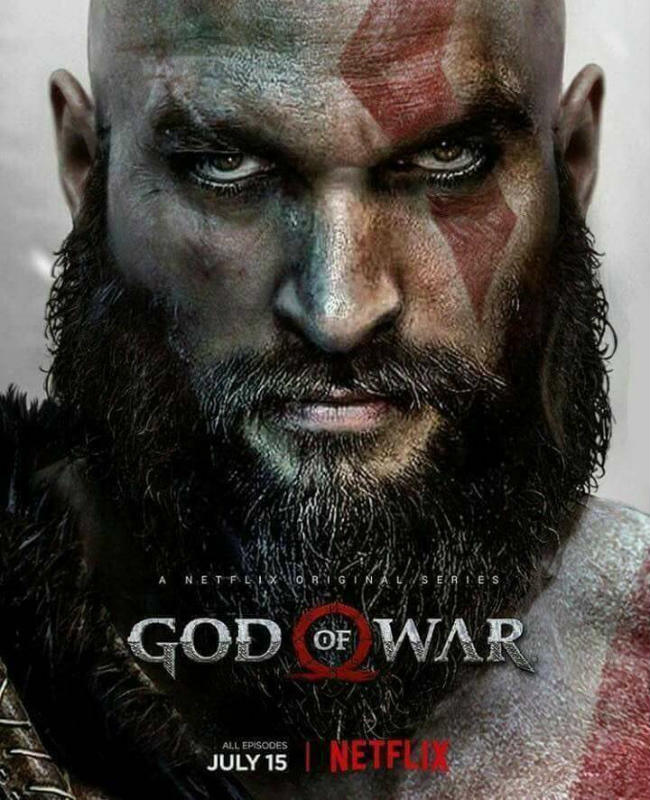 The image suggested that the series would premine on July 15 and have Jason Momoa playing Kratos. Sadly for fans though, it seems like this isn’t happening. The director of the the newest installment of the game series, Cory Barlog, took to Twitter to confirm that the series isn’t in development. However, also added that he wouldn’t mind making this a reality. 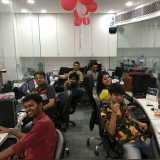 The game series is almost universally loved by the PlayStation faithful, and the latest title in the series, simply called God of War got universal acclaim from all publications, including ours. Turning the beloved franchise into a TV series would seem like a good idea. Netflix has already adapted one game franchise, Castlevania, into a TV series (albeit in the form of an anime) and the company is working on another series based on The Witcher series of video games. Both these games also have a very dedicated following among gamers. If Netflix does agree to create a TV series for GoW, it will aleast be one way the Xbox and PC gamers will be able to experience God of War on their gaming devices as the series is exclusive to the PlayStation. The internet also seems to agree with the casting choice in the fake poster. For those who don’t know, Momoa played Khal Drogo in Game of Thrones and Aquaman in the Justice League movie. Call it typecasting, but it seems like Momoa is pretty good at playing a ‘muscled’ guy on camera, making him a pretty good choice for Kratos if you ask us. If you haven’t seen the fake posted yet, here it is.